A fire started late in the evening , after the mall hours of Robinsons Galleria Mall in Ortigas Center. It is still uncertain if people has been injured. Fire trucks have already responded on the scene in order to control the fire. 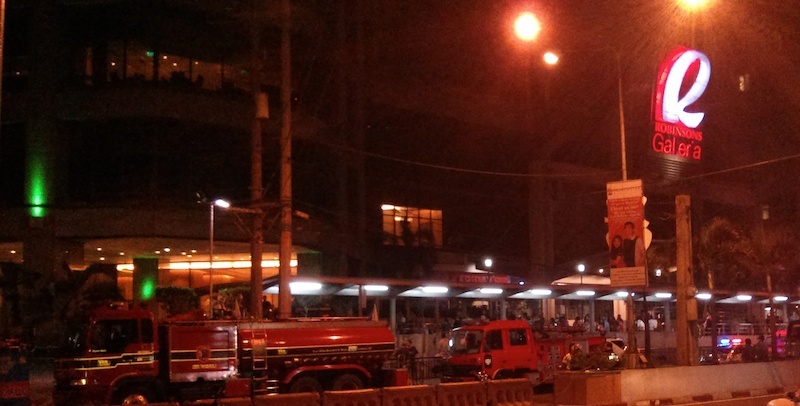 Update (10-30-2013 – 12:30am) – The fire has already been controlled but there is still smoke coming from the Poveda side of the Robinsons Galleria Mall.